Are you eating? 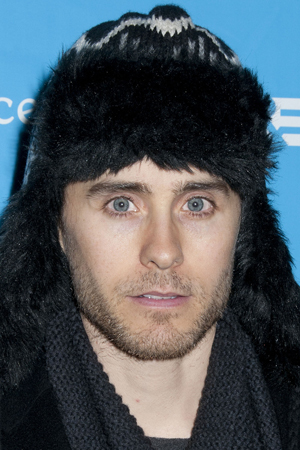 You’d better stop now, ’cause this story from Jared Leto will make you throw up. Actor and perpetual 20-year-old Jared Leto took his love of hipster fashion to an all-new — and disgusting — level this week when he told a British radio show about the weirdest gift he ever received from a fan. “Someone cut their ear off once and sent it to me, that was very strange,” Leto told Xfm host Phil Clifton. So, did he alert the cops in case someone was unwillingly mutilated or murdered for the body part? Nope: He just ran a string through it and wore it as a necklace. Leto probably thought he was being super-hilarious, but we definitely don’t think this is funny. And, oddly enough, the actor’s ear tale isn’t the only one this week. Game of Thrones actor Clive Mantle had one of his ears bitten off during a hotel dispute in Newcastle, England, earlier this week. Luckily, he was able to have it reattached through surgery. Let’s all leave ears — both others’ and our own — alone, OK?